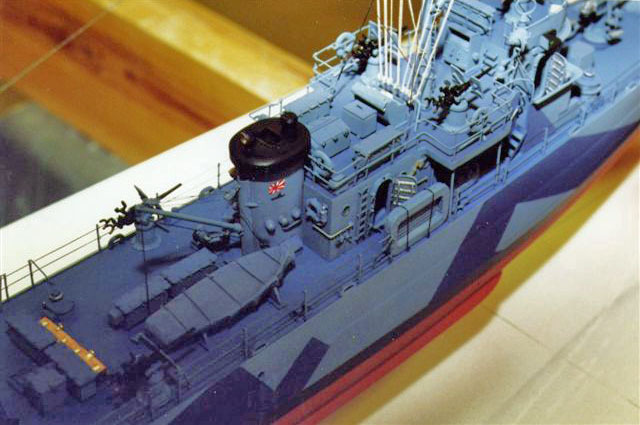 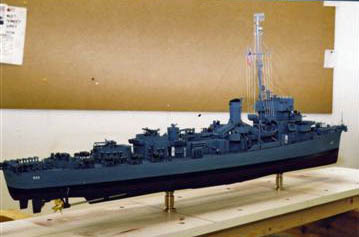 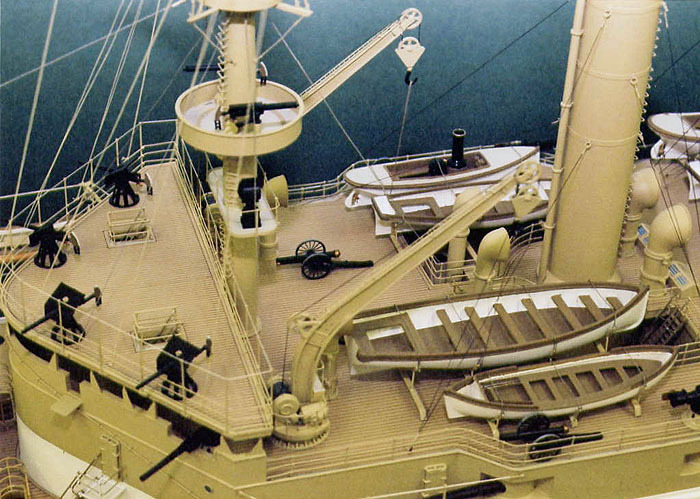 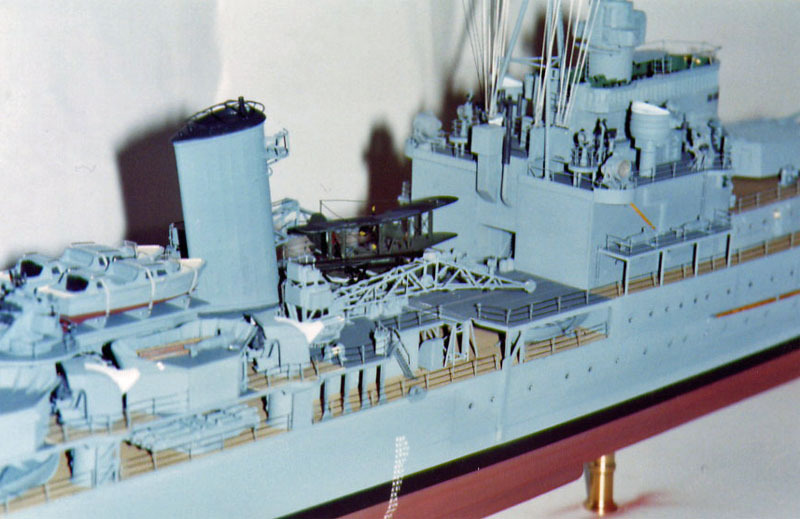 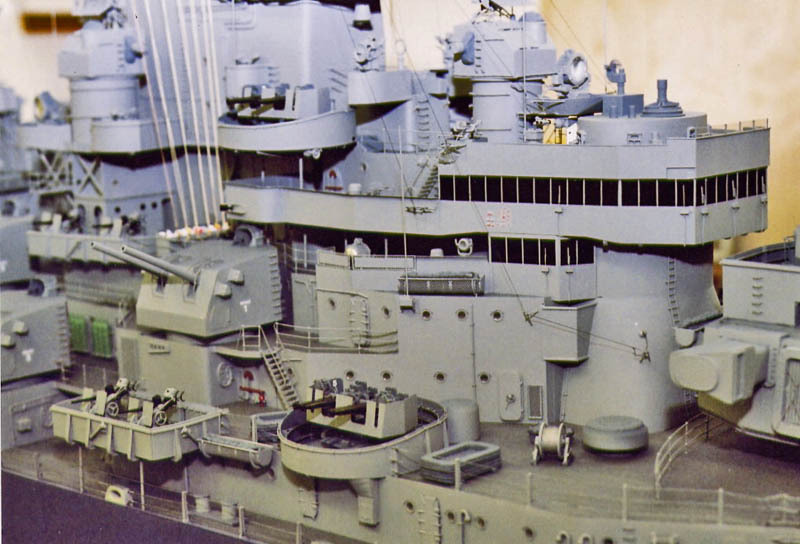 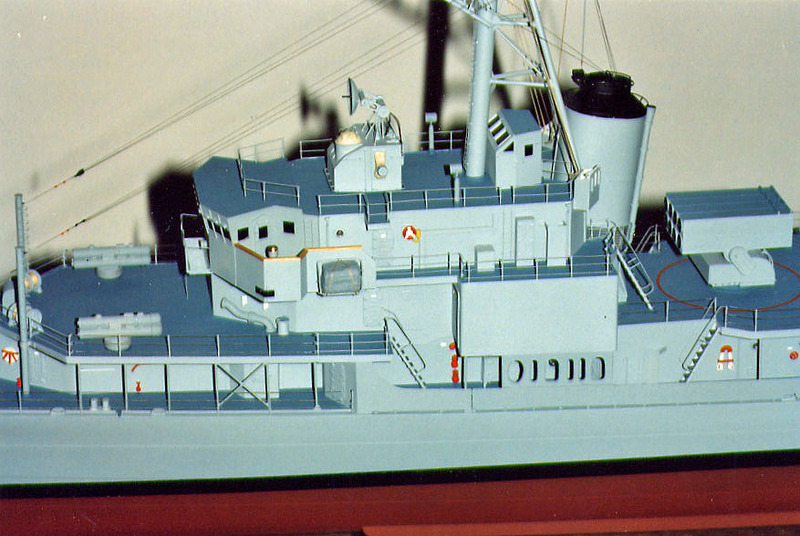 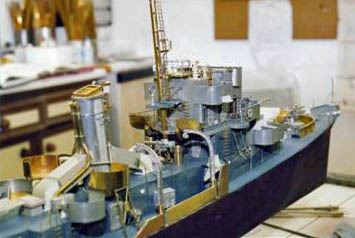 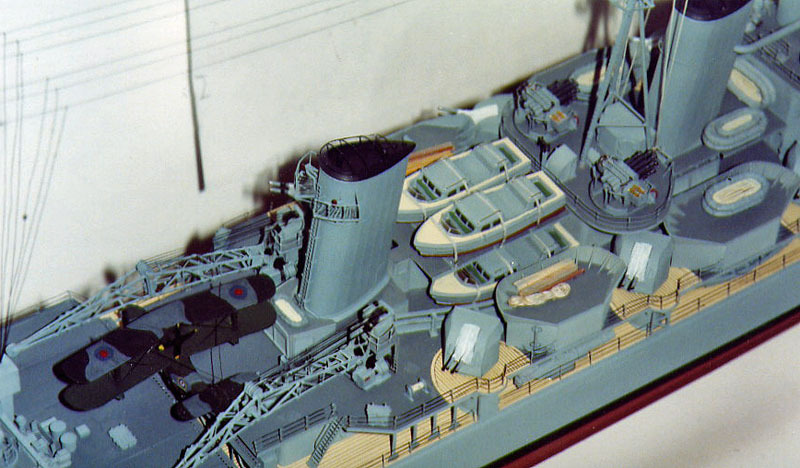 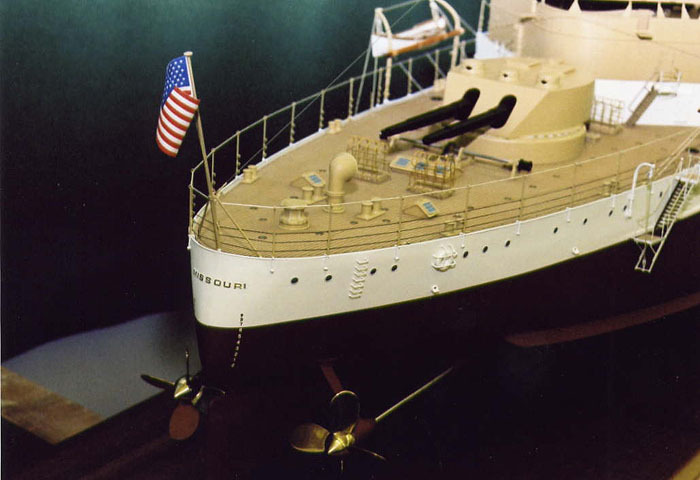 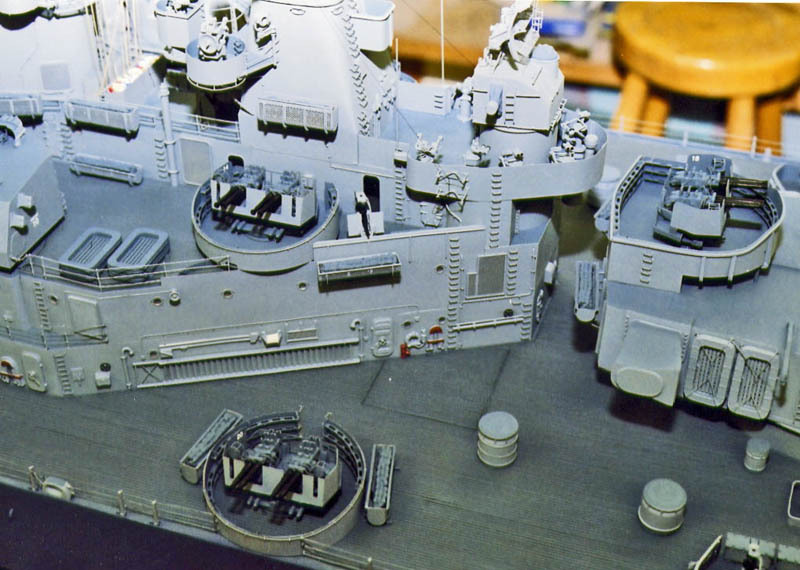 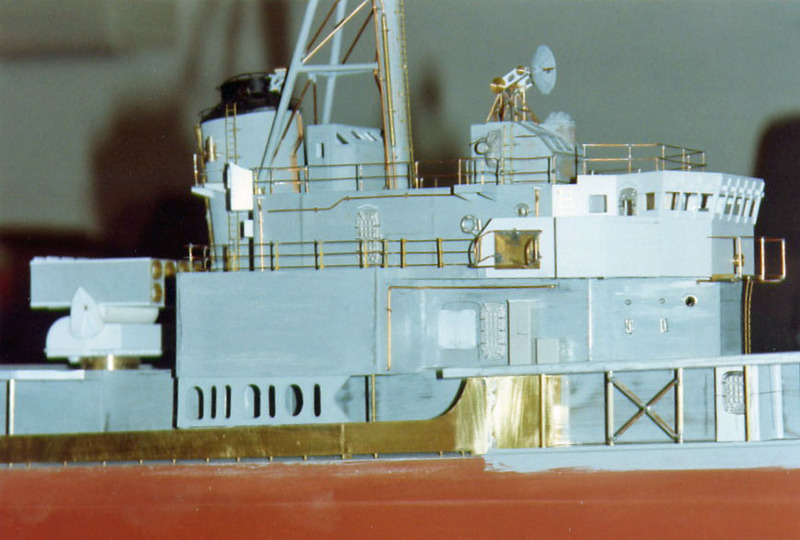 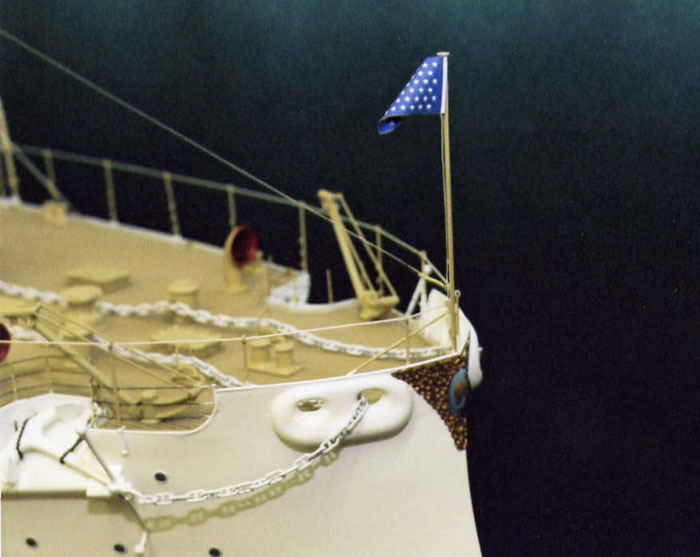 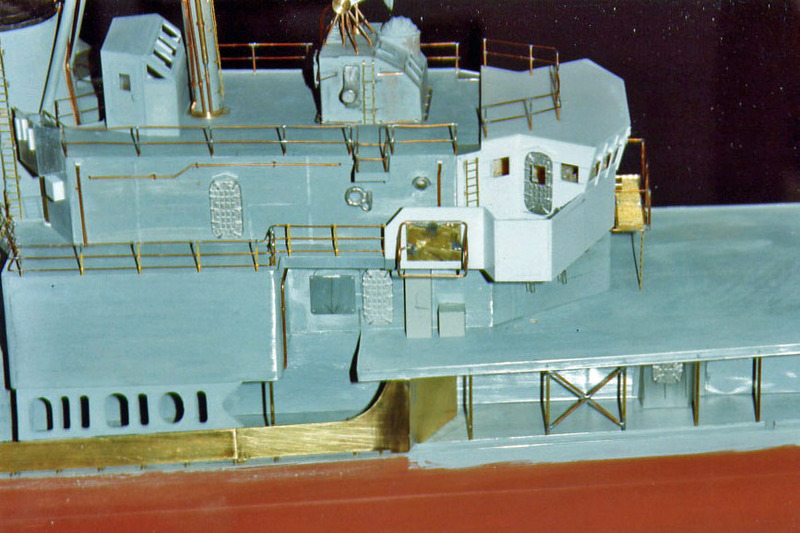 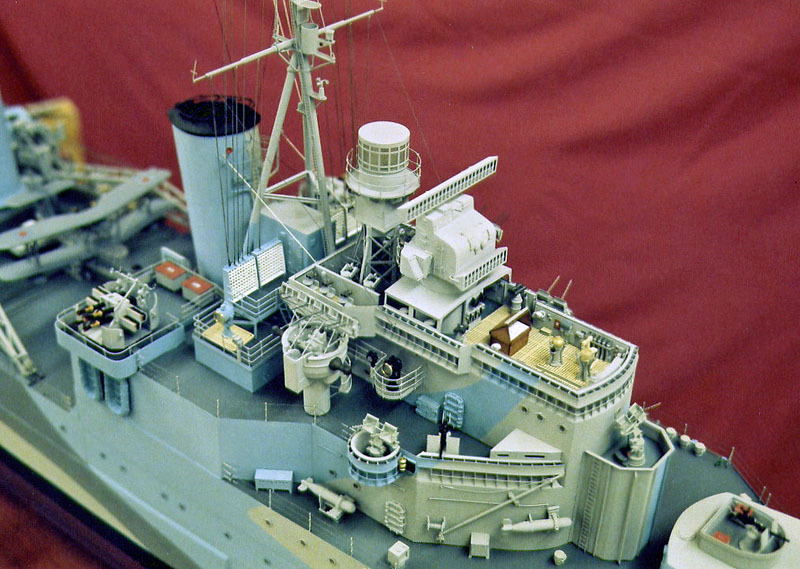 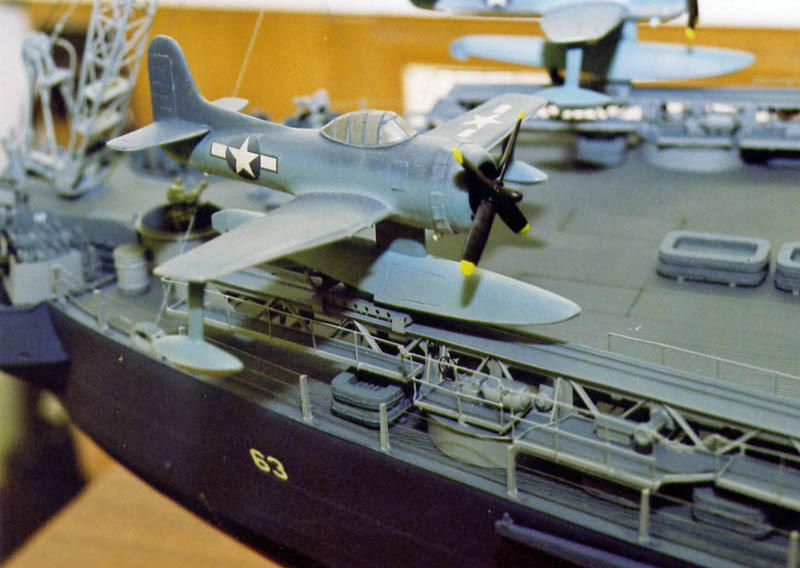 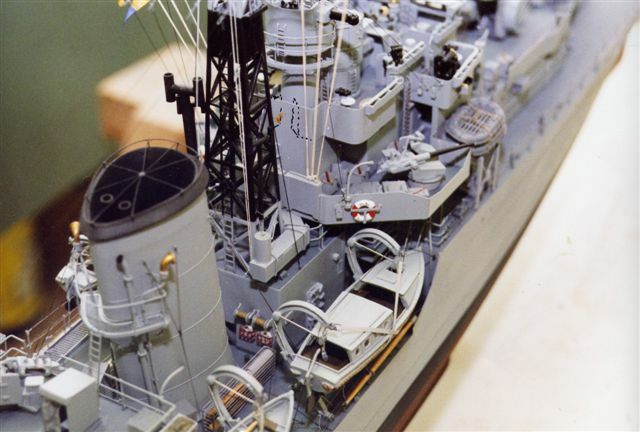 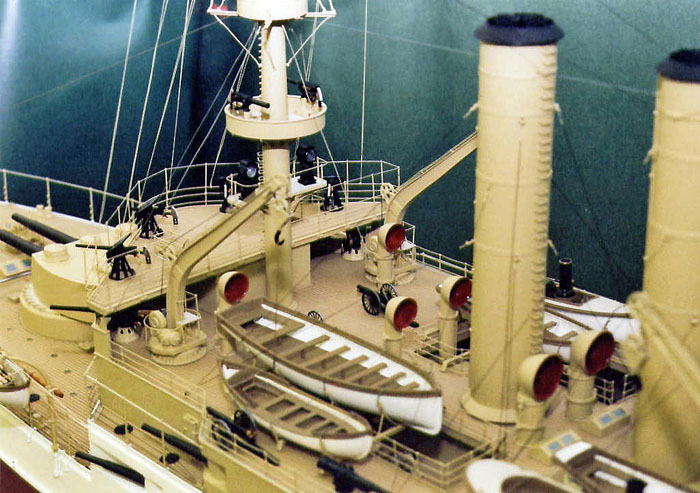 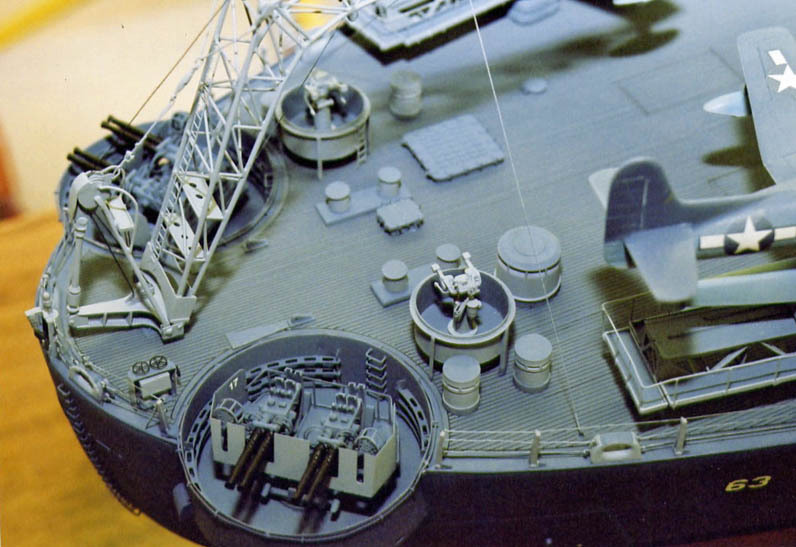 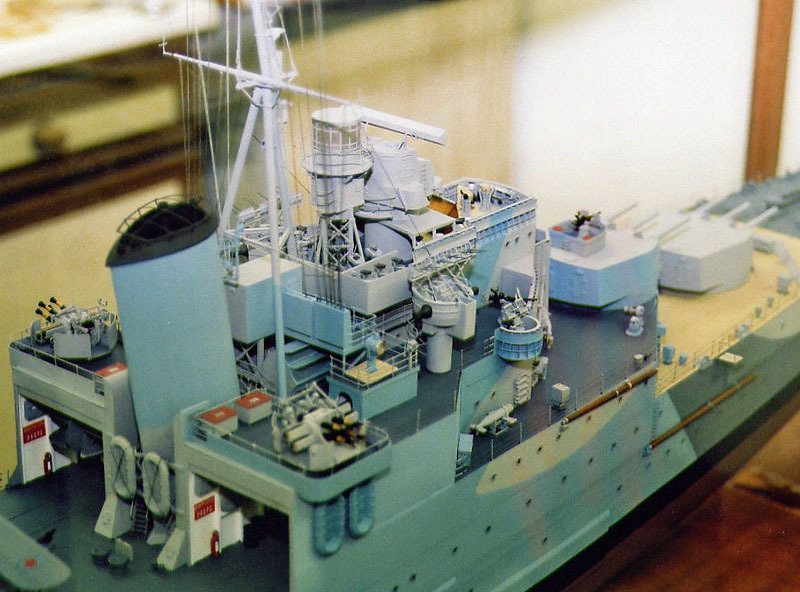 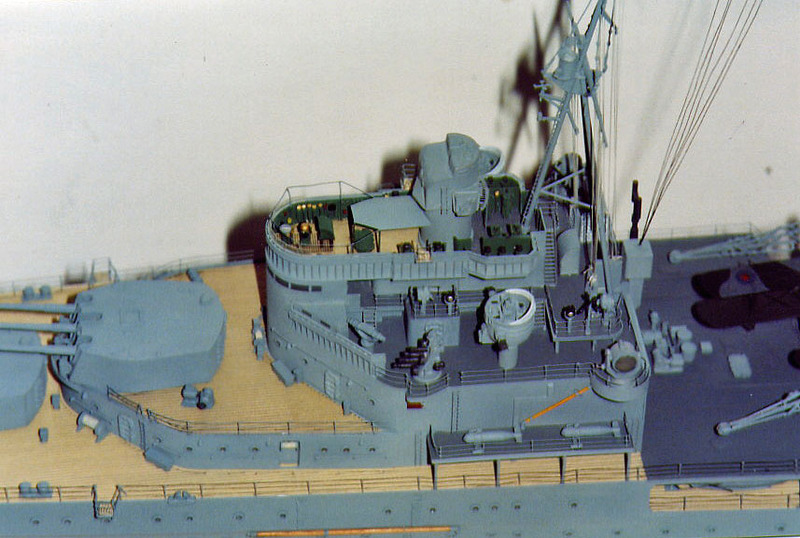 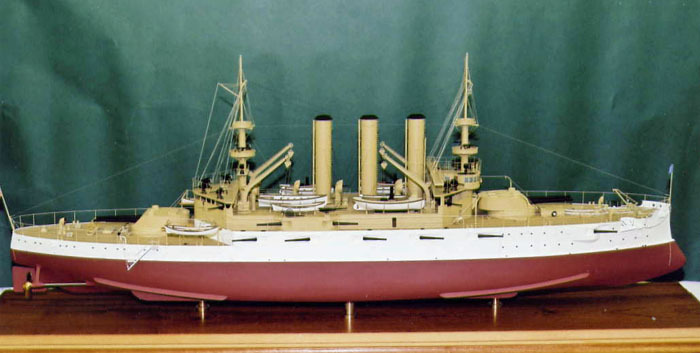 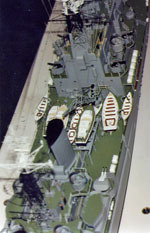 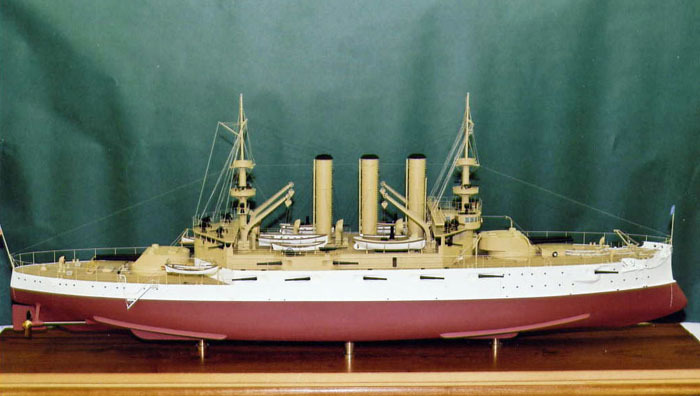 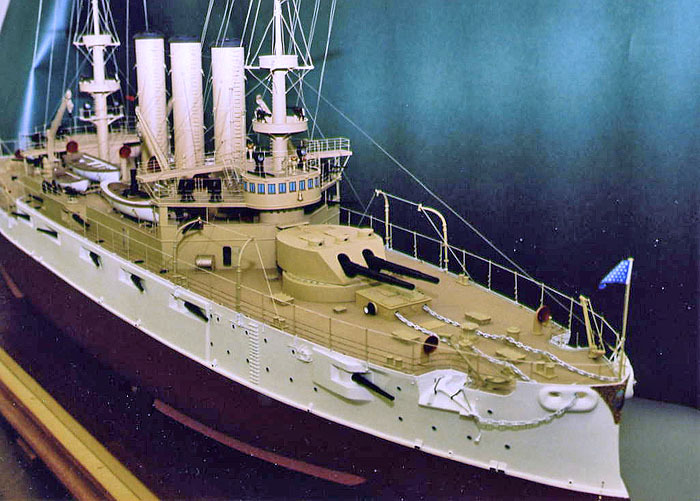 This page is to show off the models, and more importantly, the techniques employed by Mr. Haynes in the construction of his fine models. 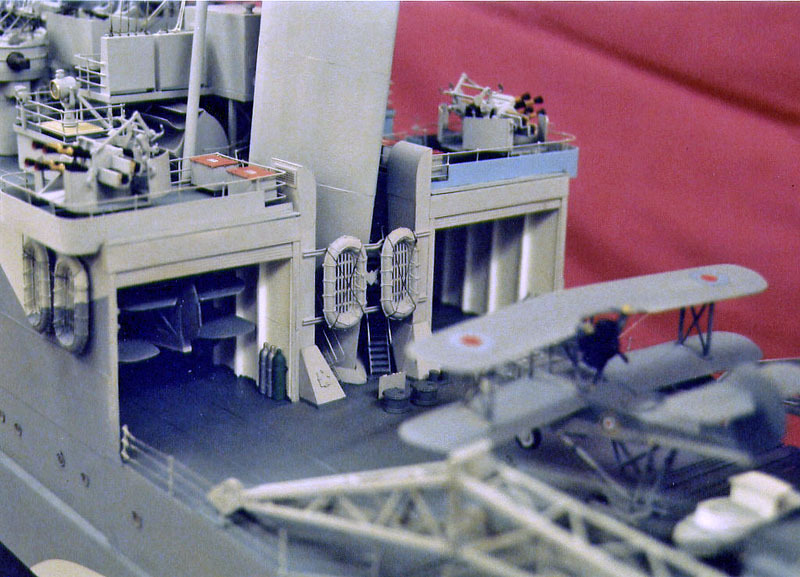 For this project, John highly recommends the book PC Patrol Craft of World War II: A History of the Ships and Their Crews, by Wm. 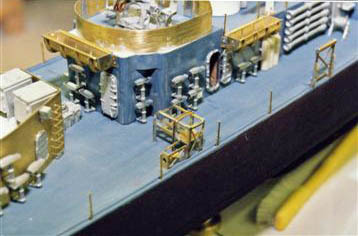 J. Veigele ISBN: 0-9645867-1-1 This book and plan gives all the detail down to the last rivet . 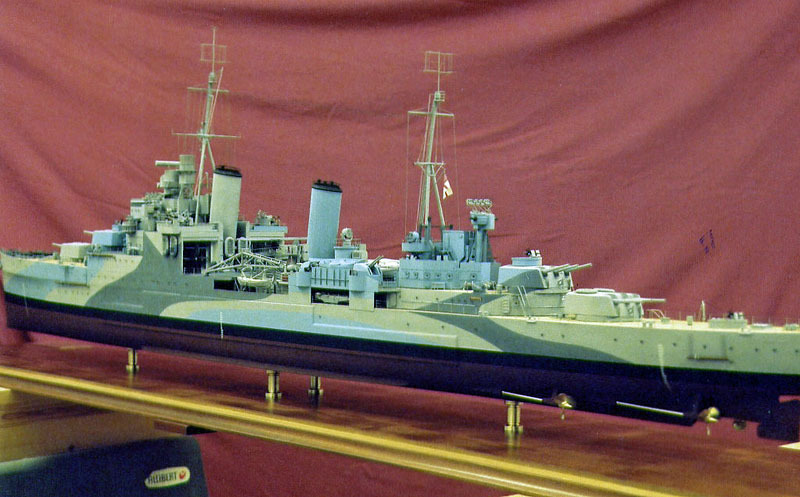 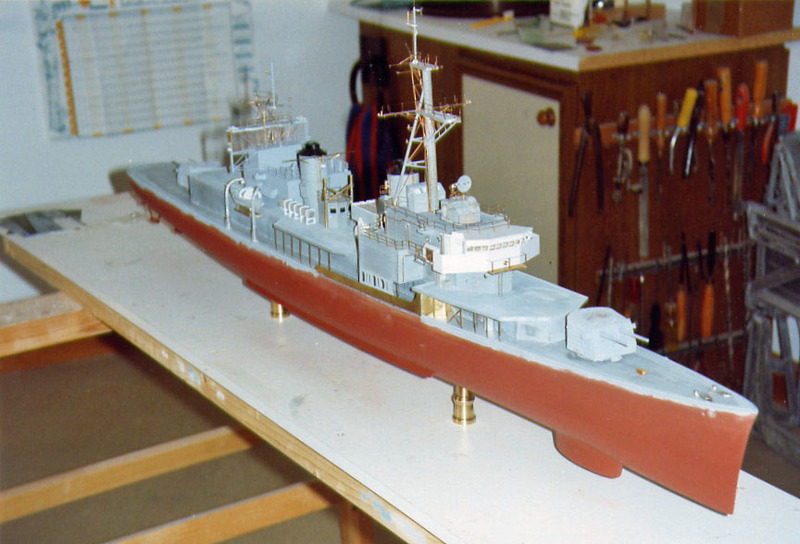 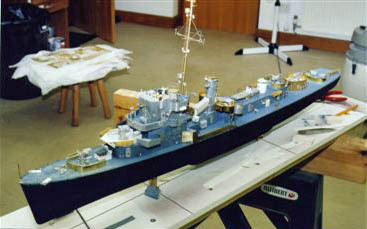 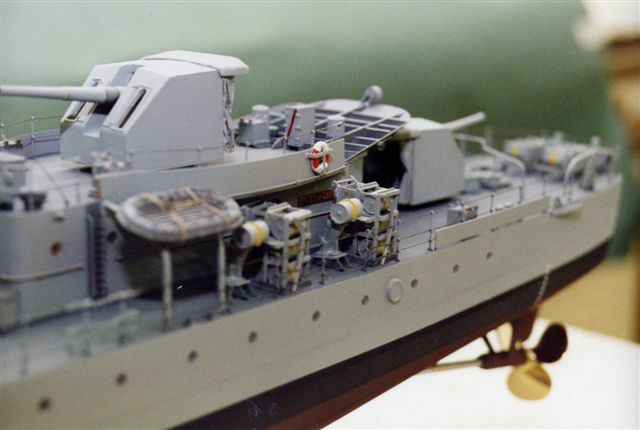 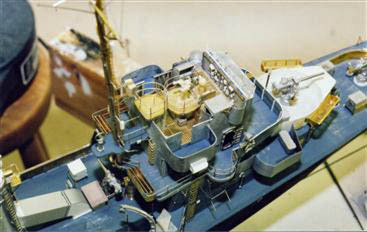 John has also sent in photo of a completed model, the last Royal Yacht, Britannia. 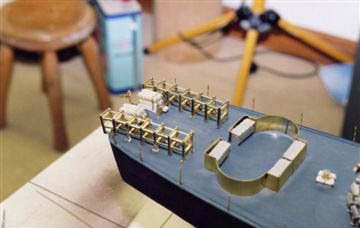 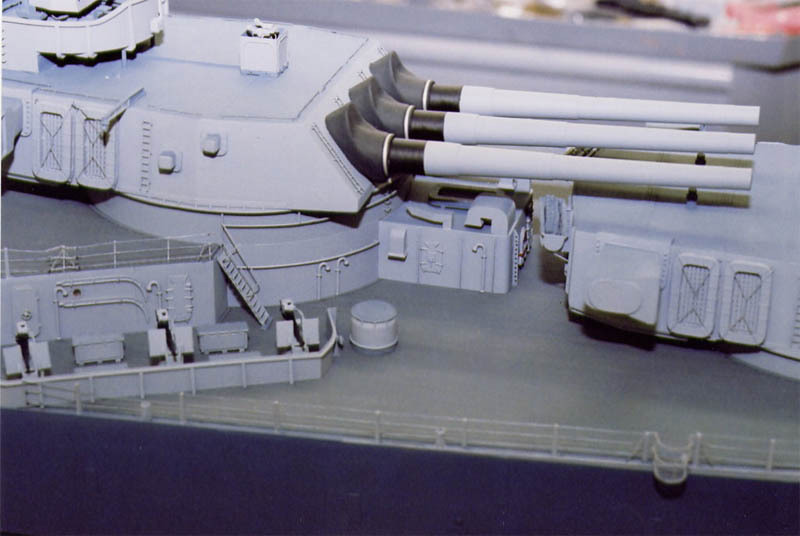 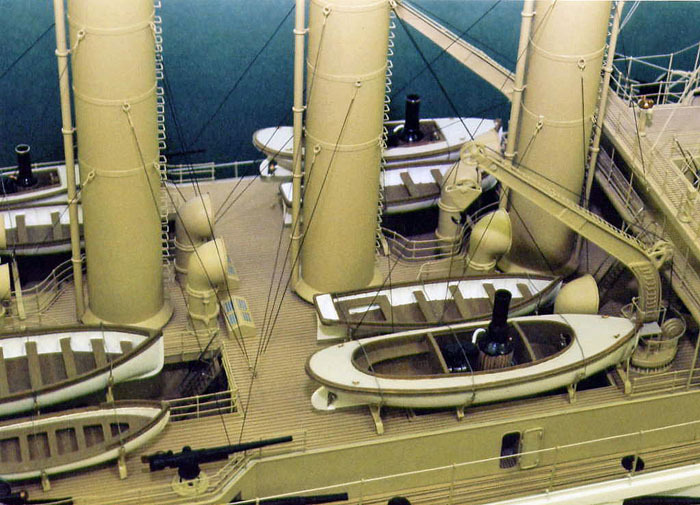 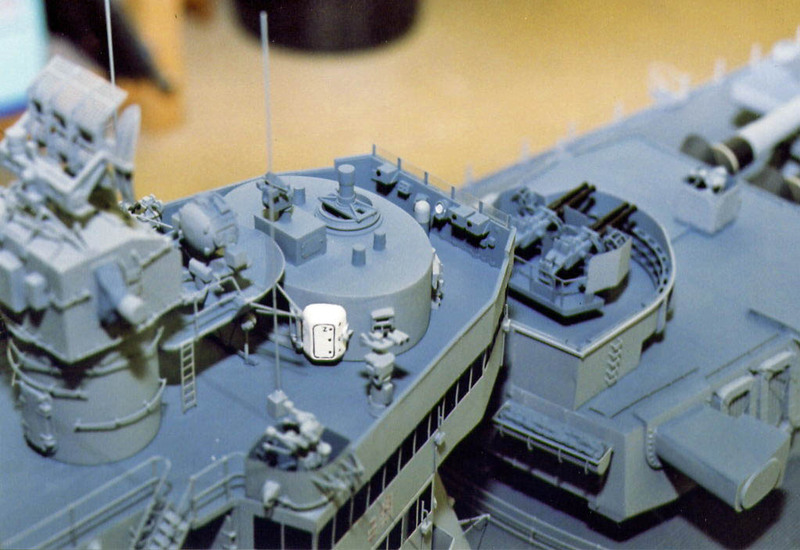 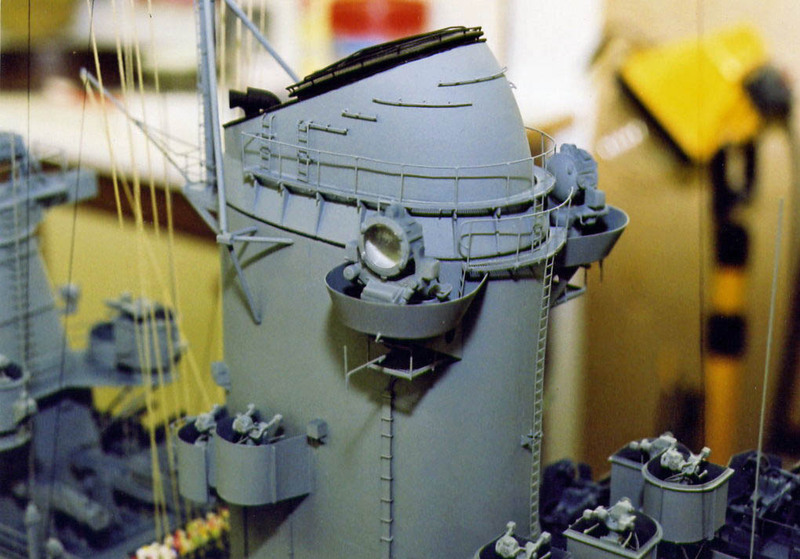 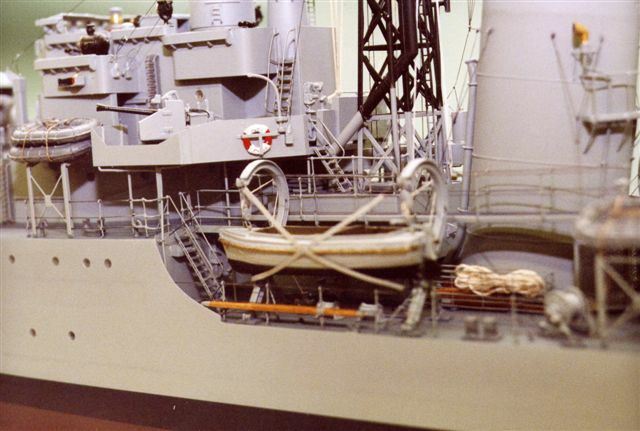 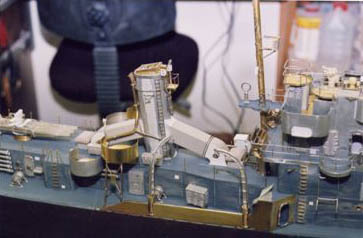 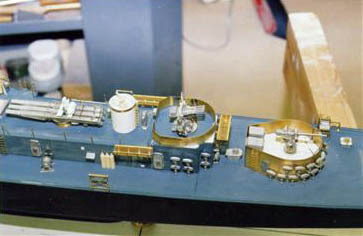 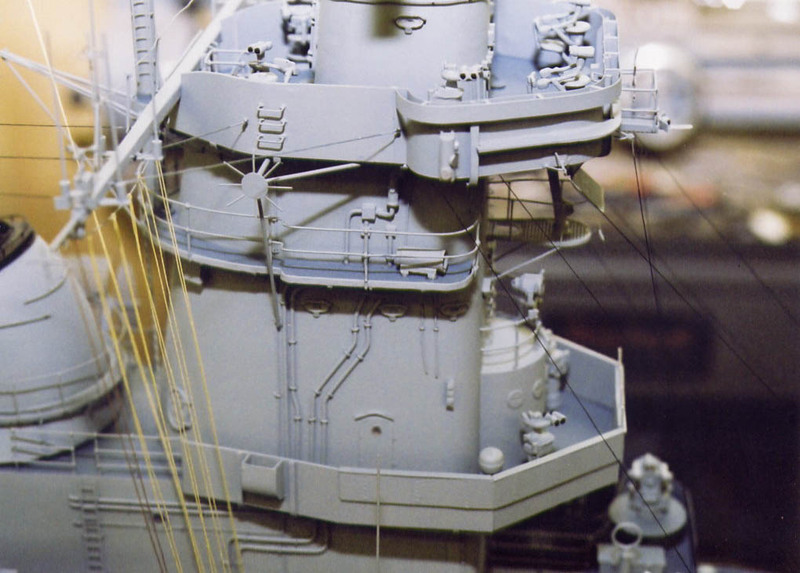 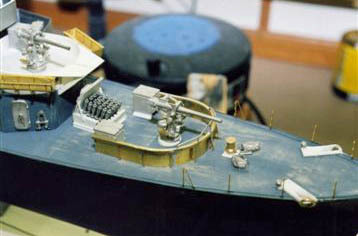 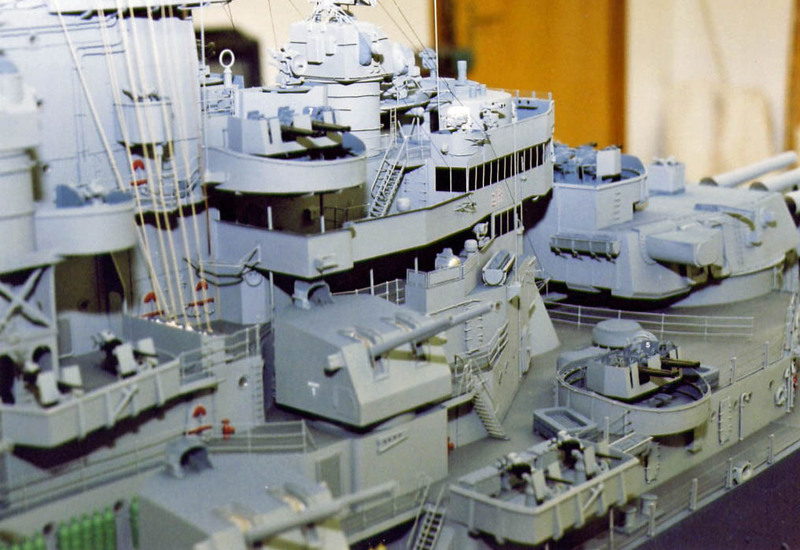 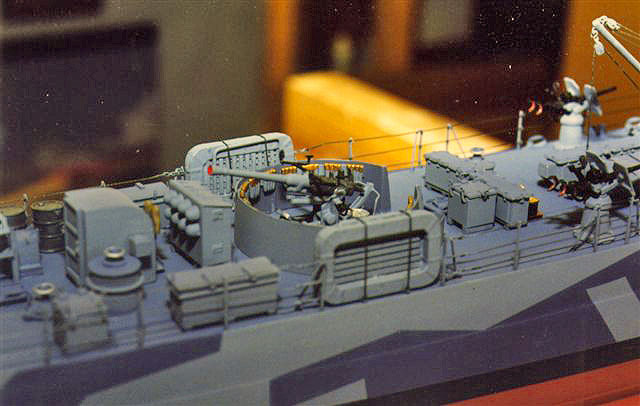 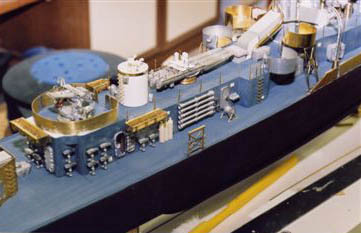 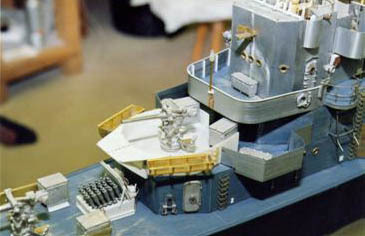 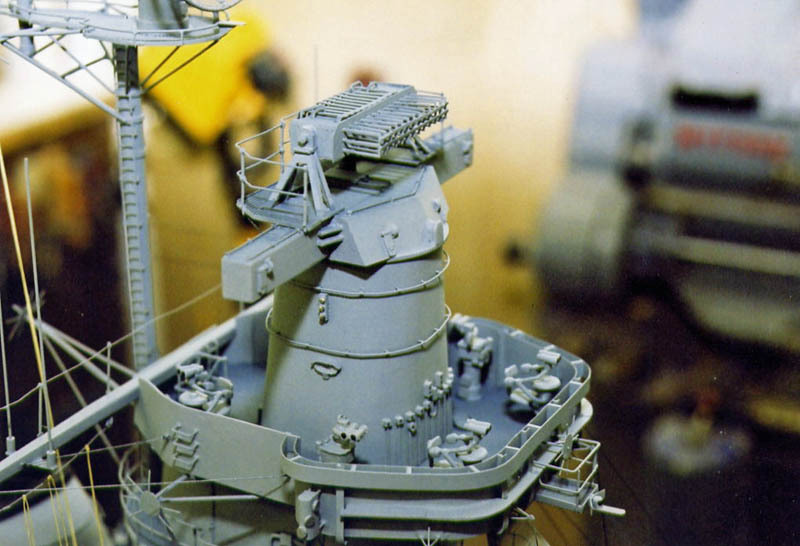 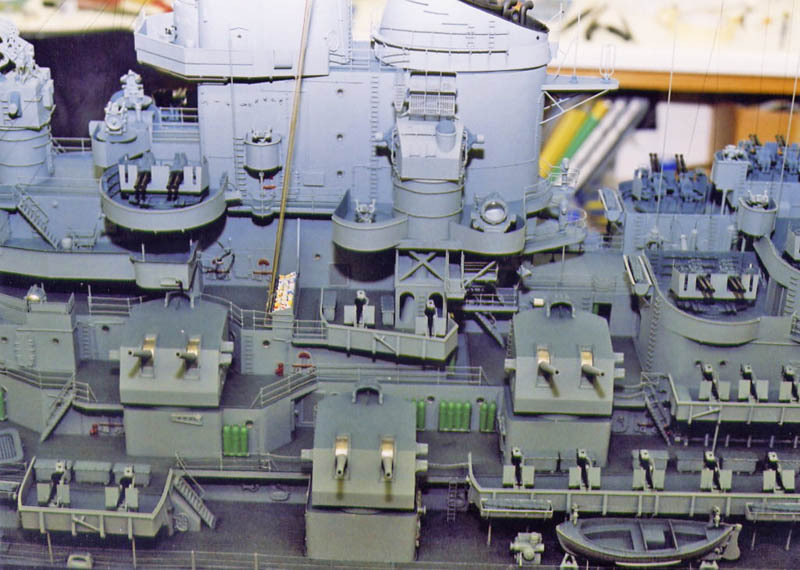 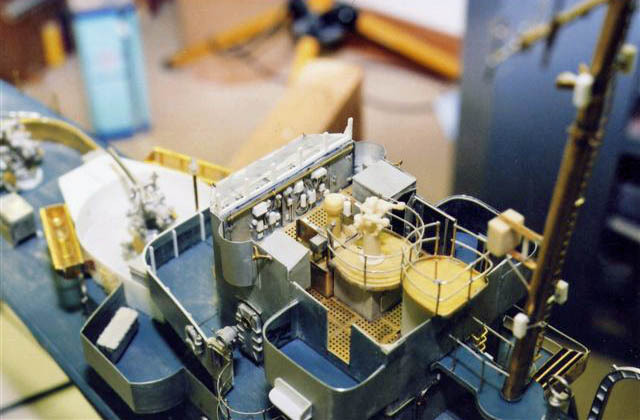 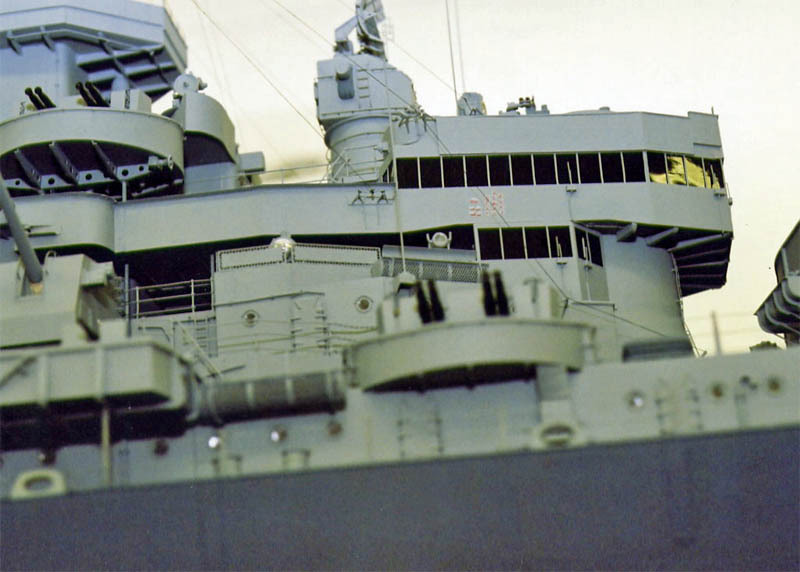 If you study these photos, you can learn a lot about the construction of a highly detailed model. 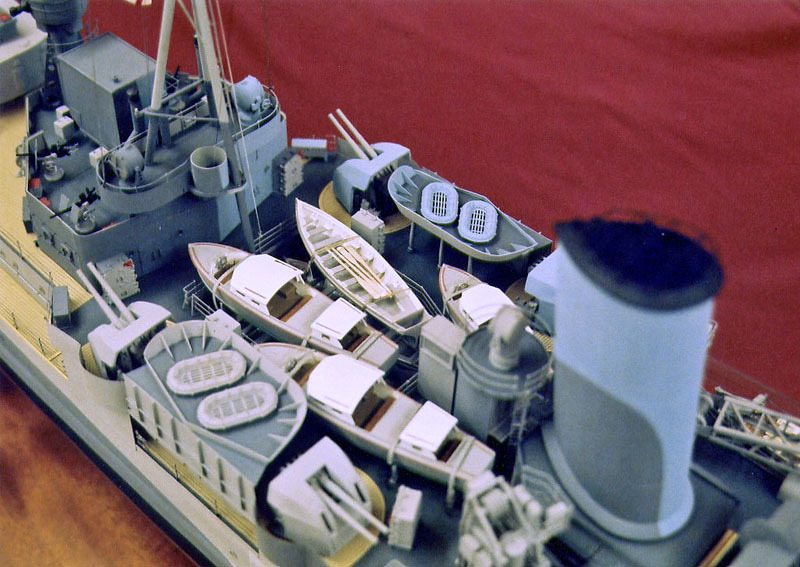 The real Starling was responsible for a Baker's dozen submarine kills during World War II - a very impressive record indeed! 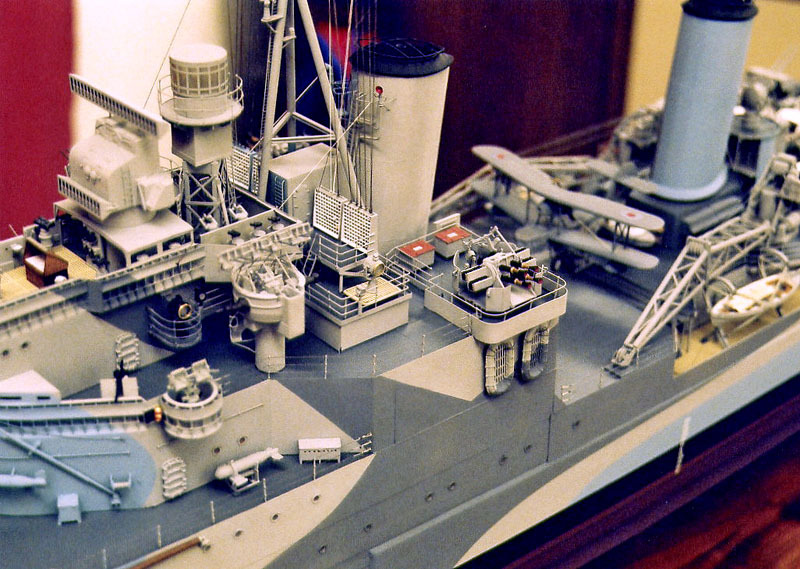 John Built this model about 14 years ago in 1/96 scale. 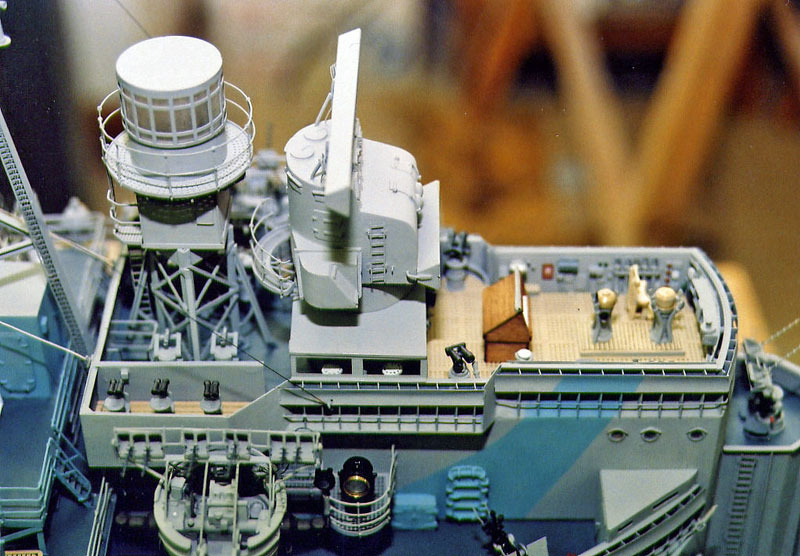 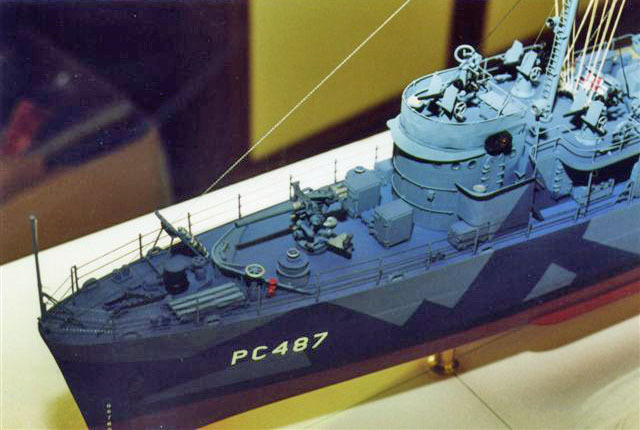 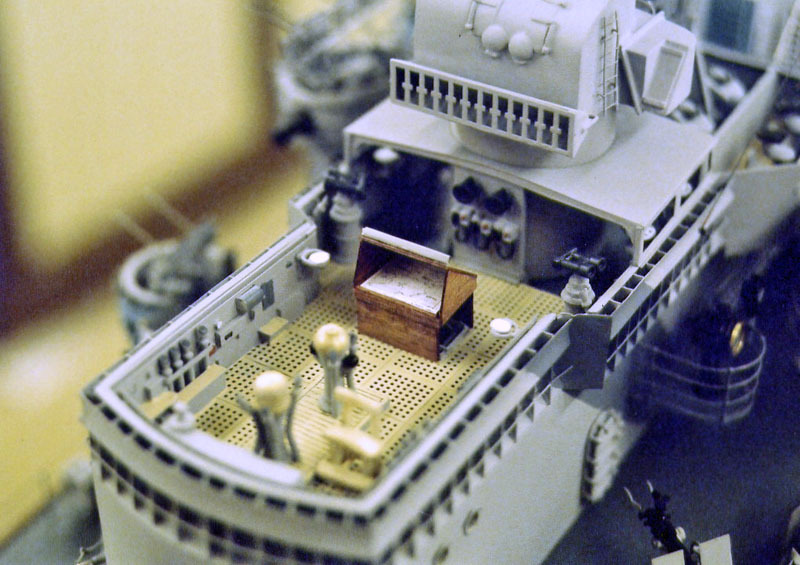 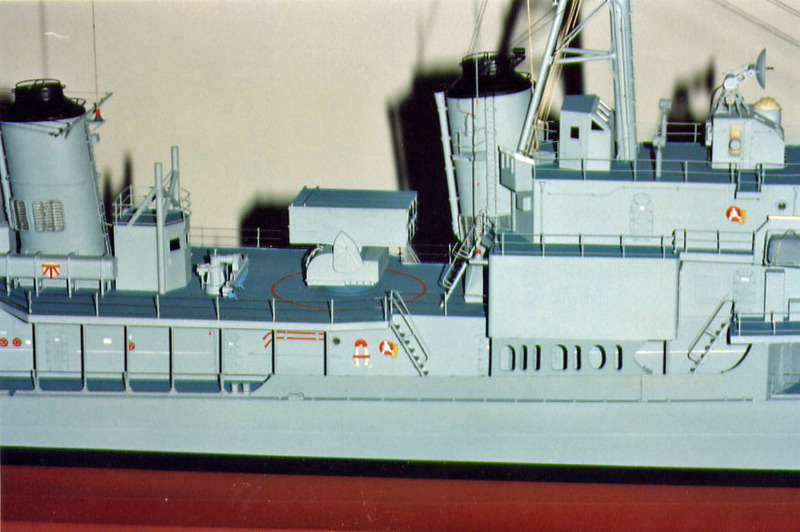 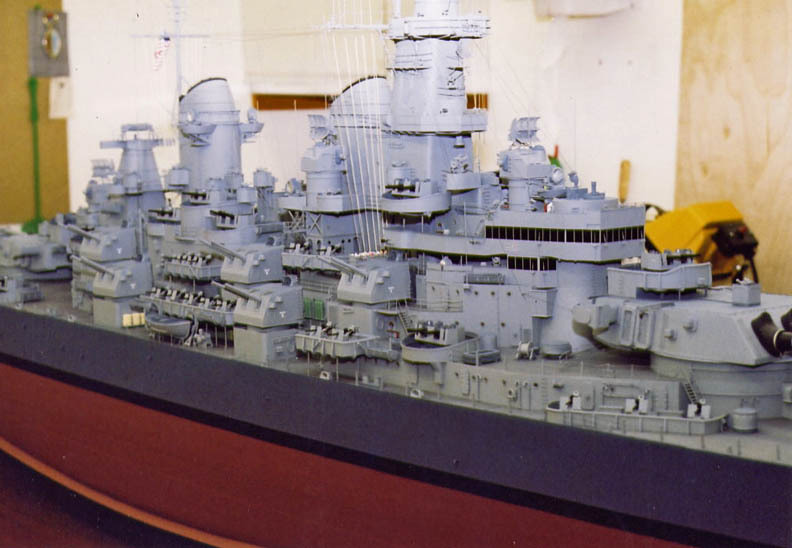 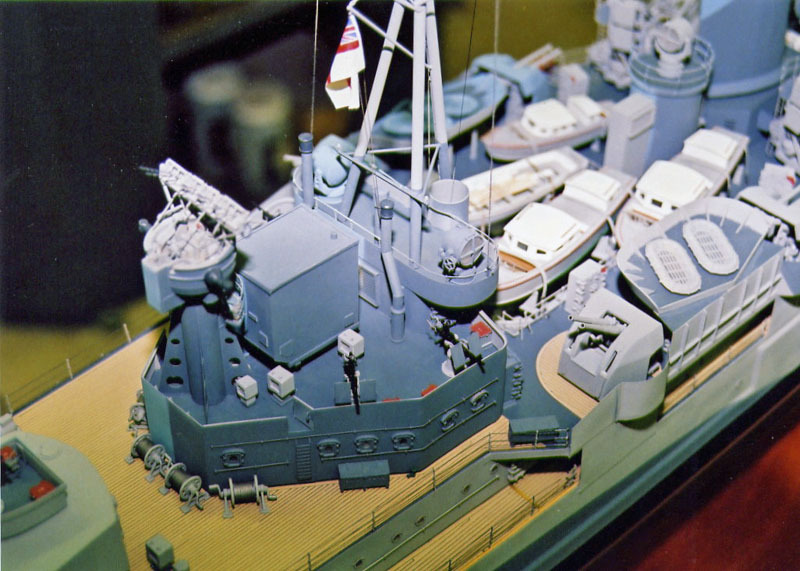 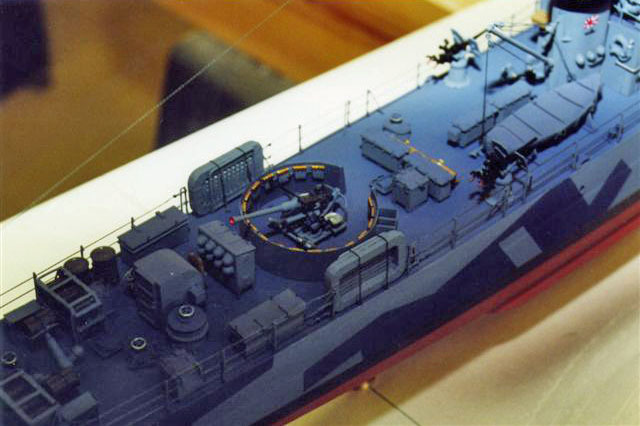 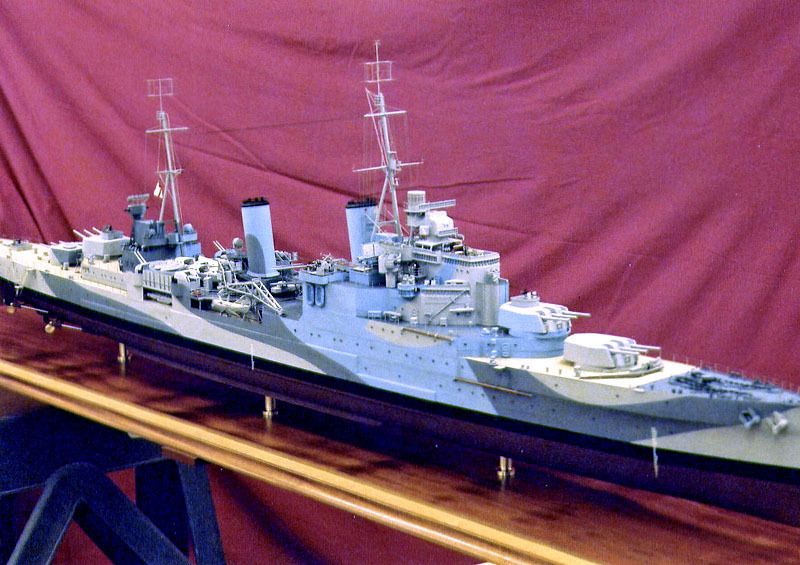 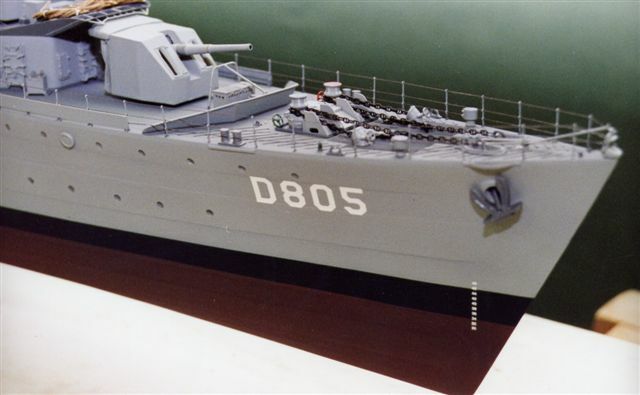 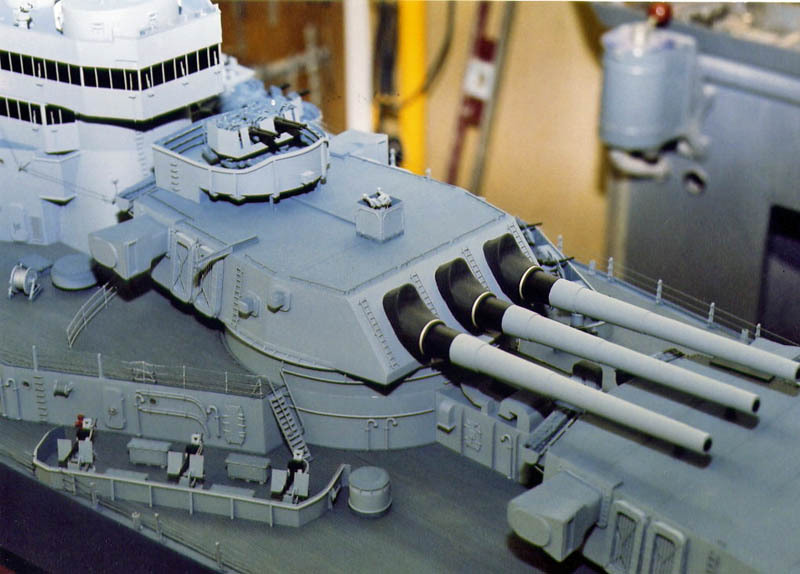 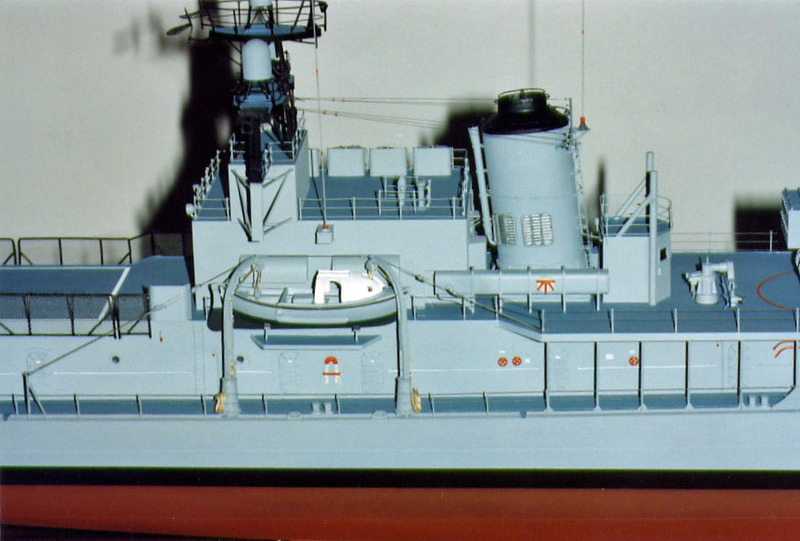 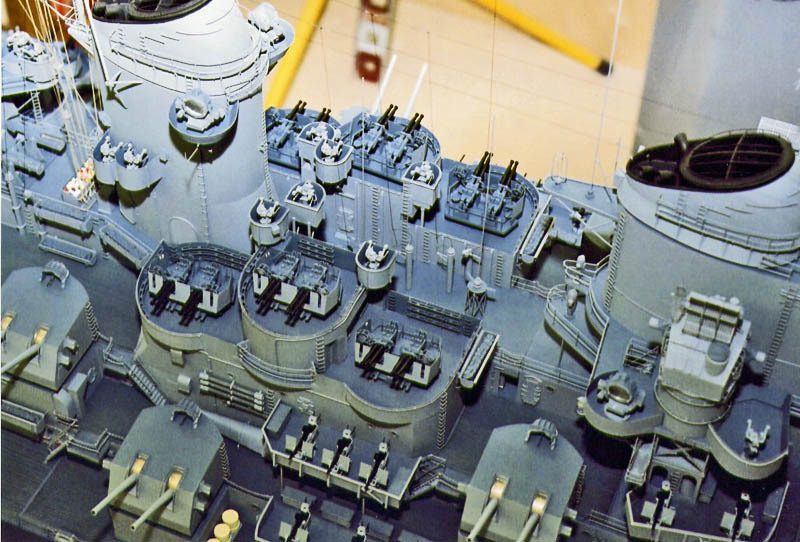 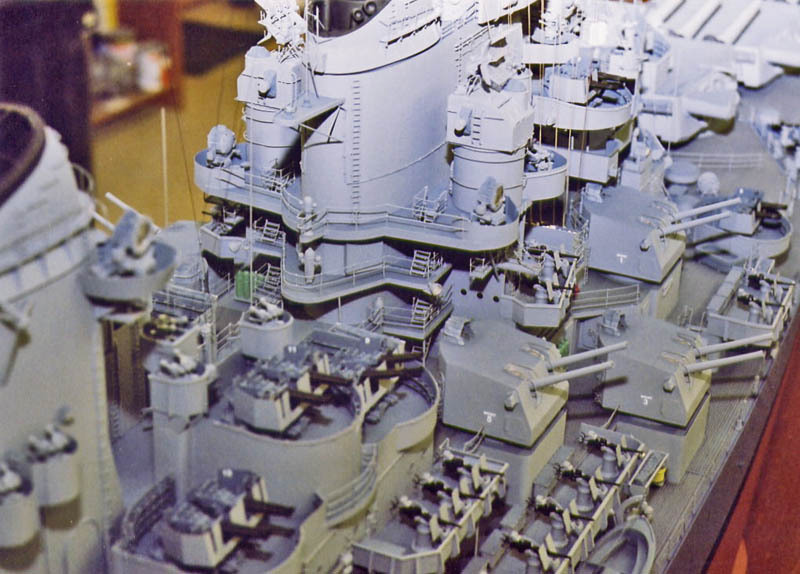 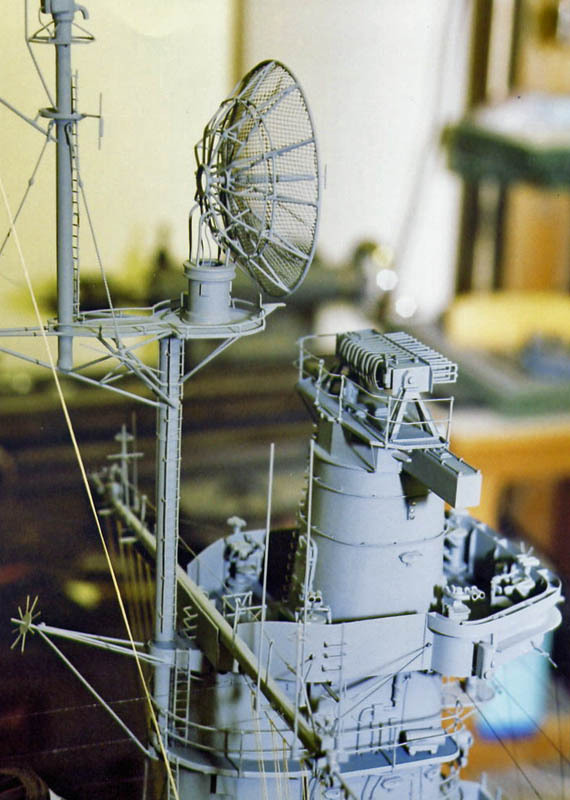 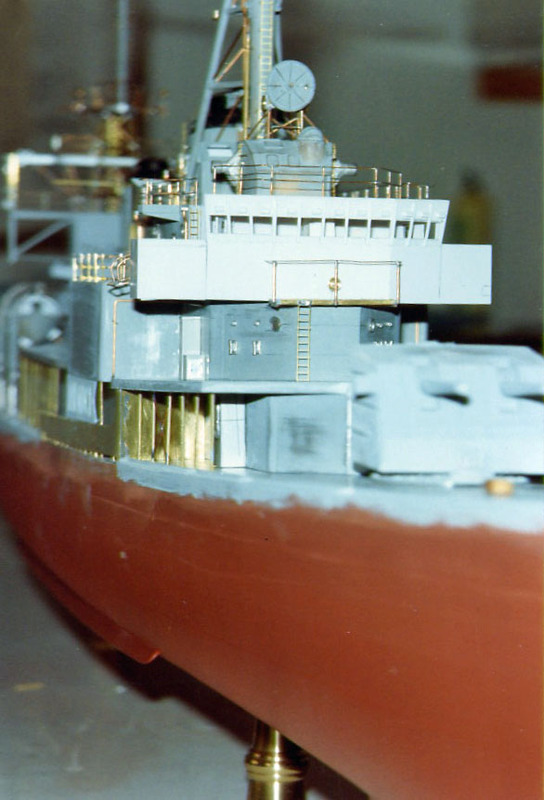 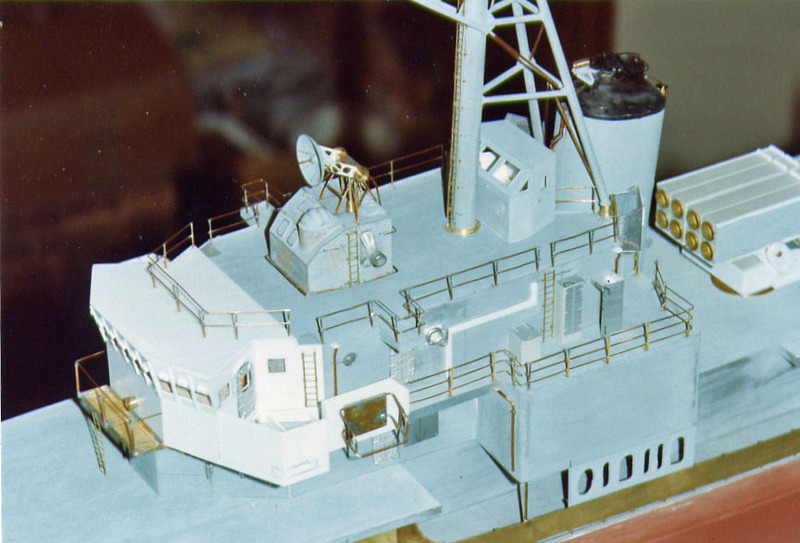 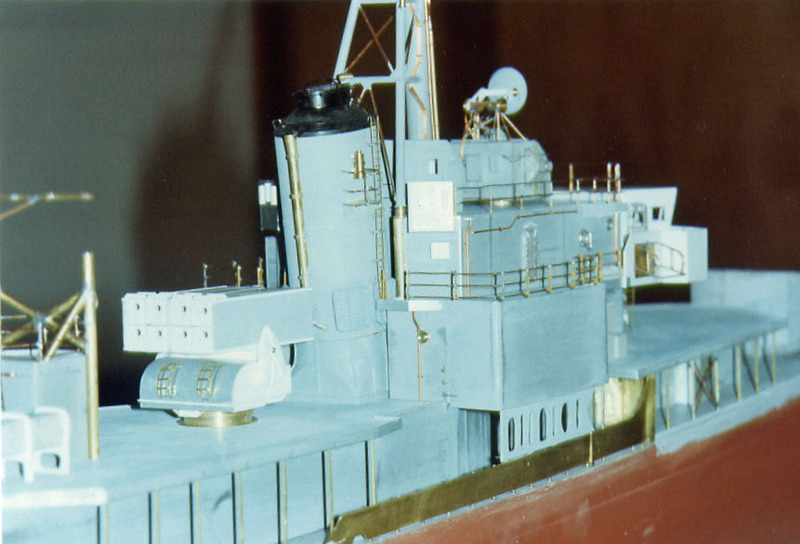 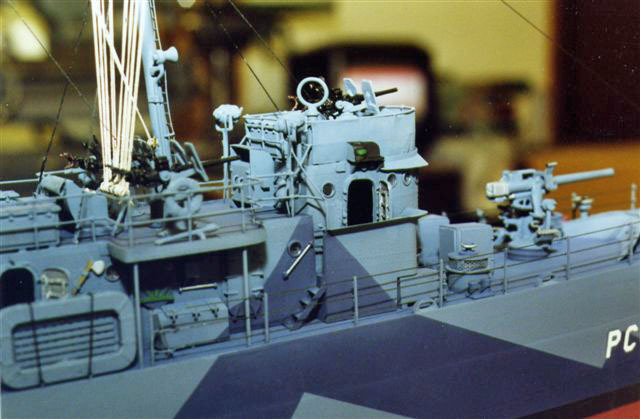 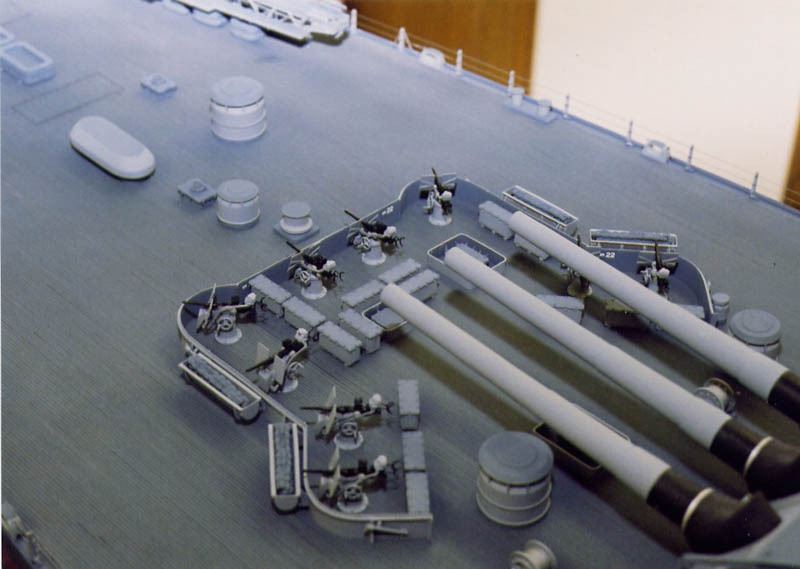 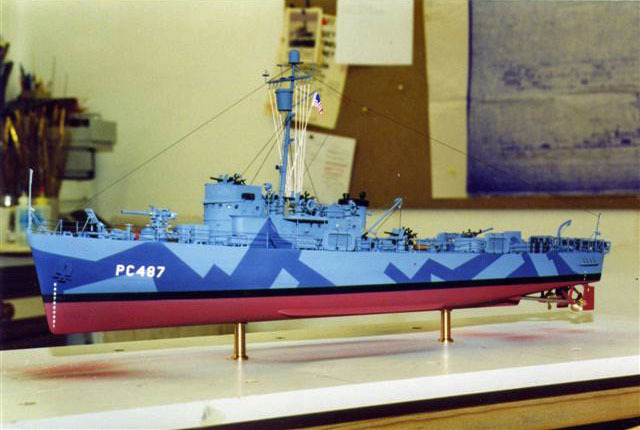 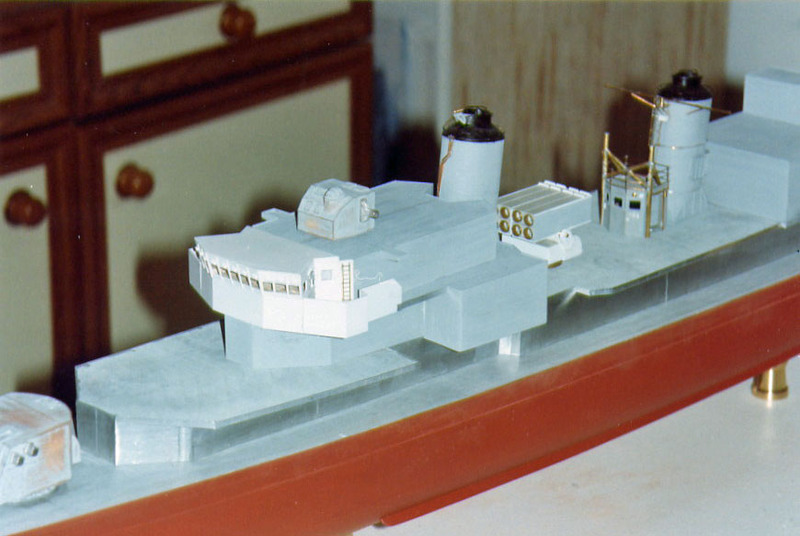 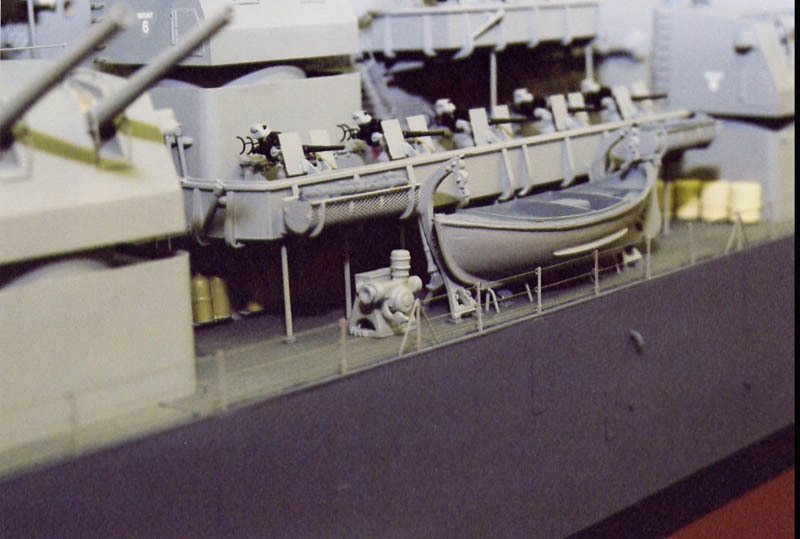 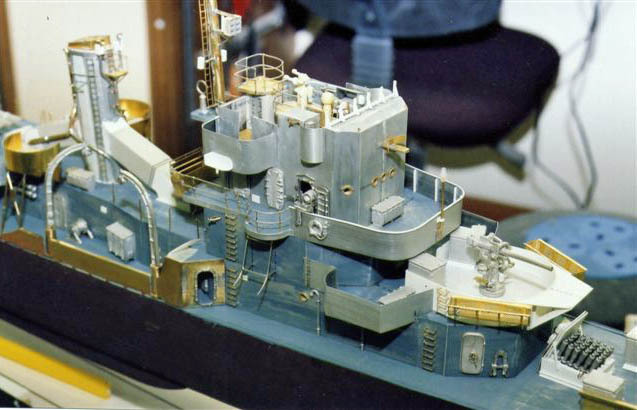 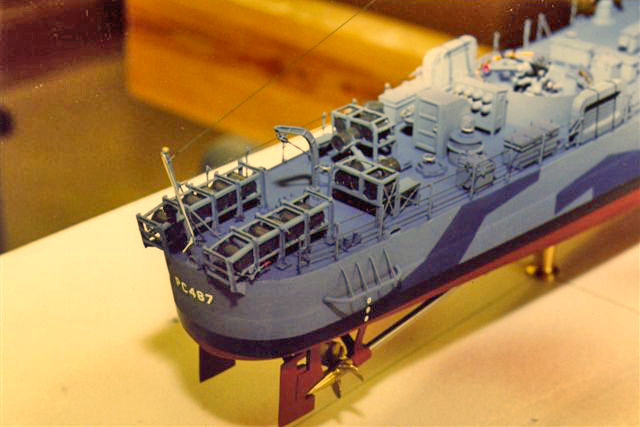 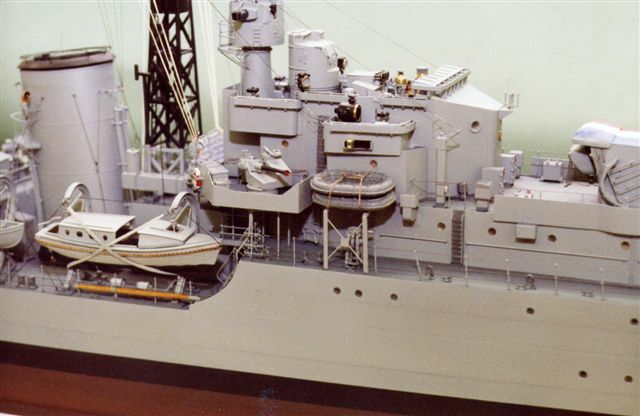 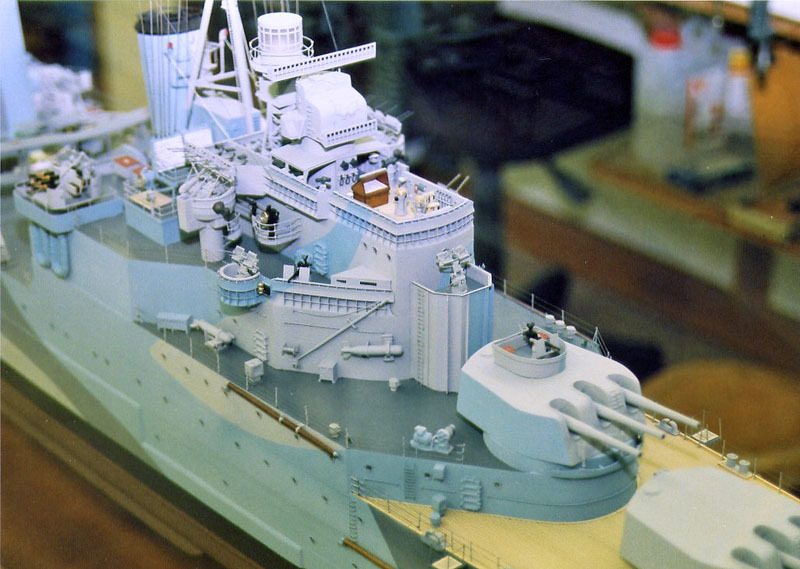 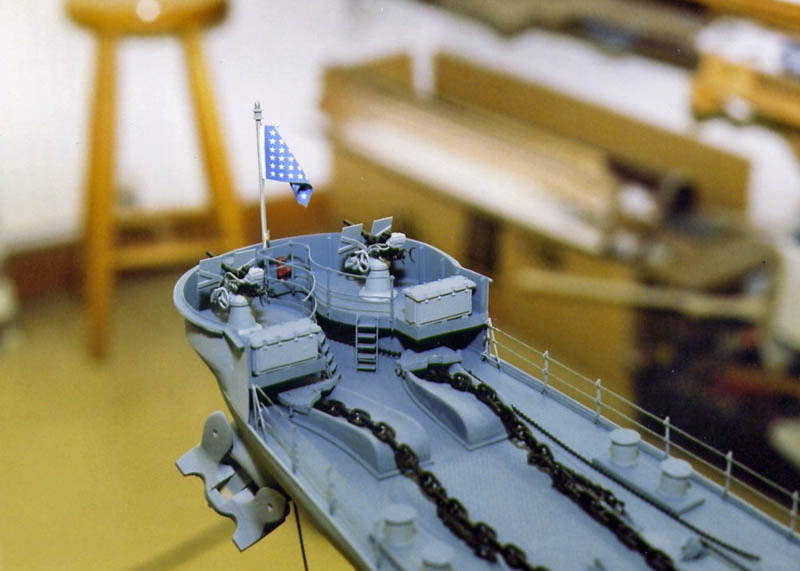 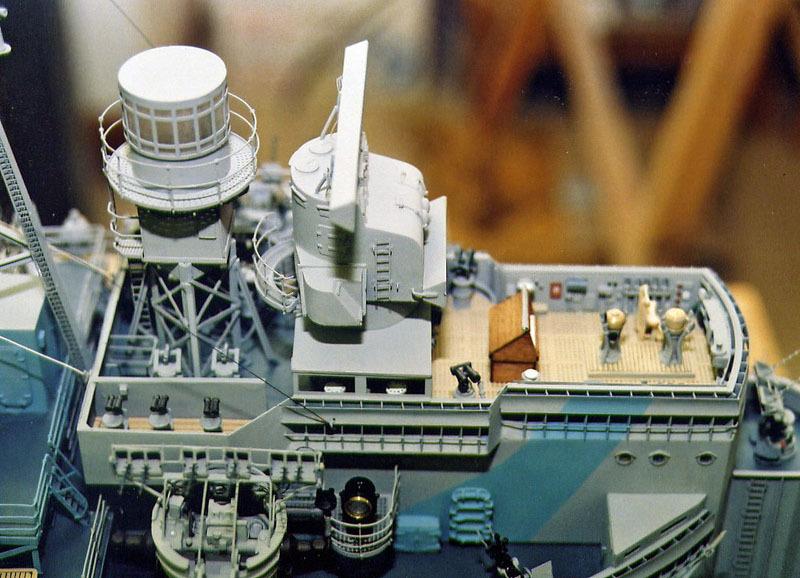 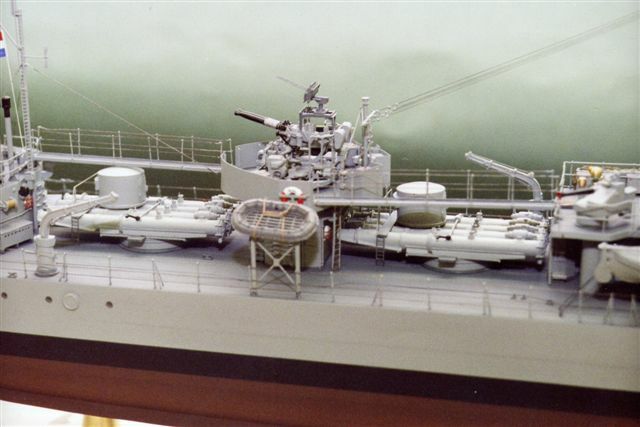 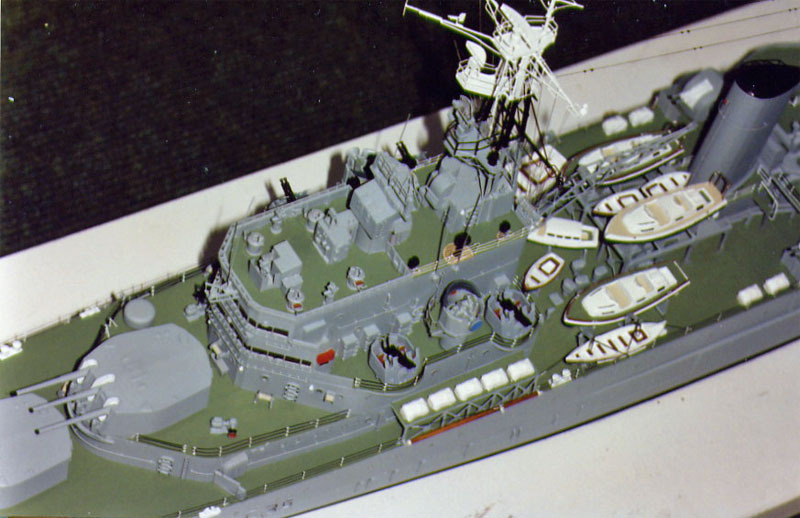 This model currently resides on the USS Missouri (BB-63) showing how far naval technology had progressed in just over 40 years. 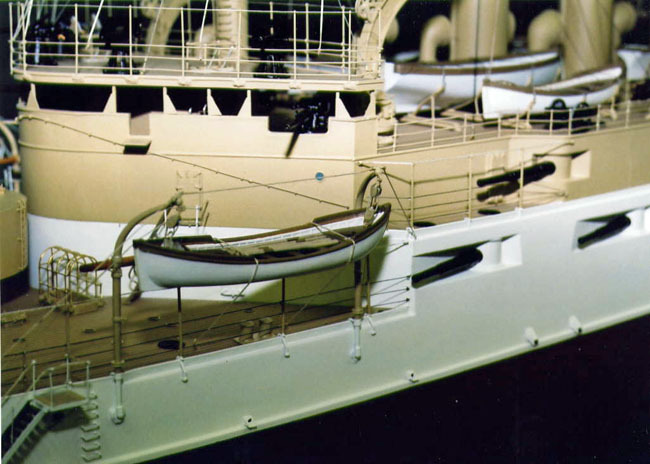 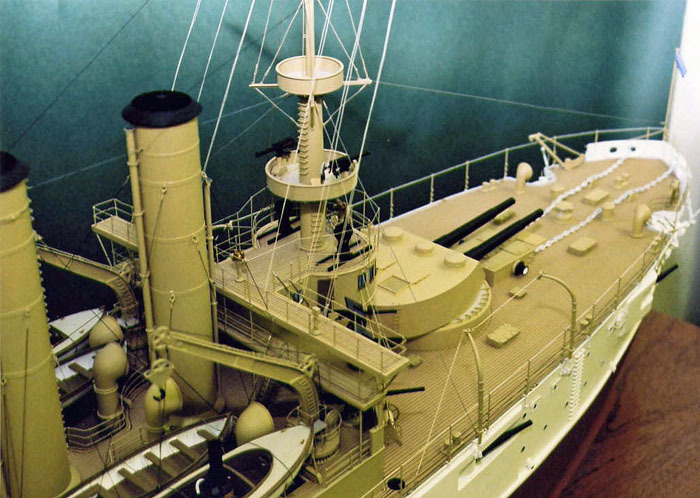 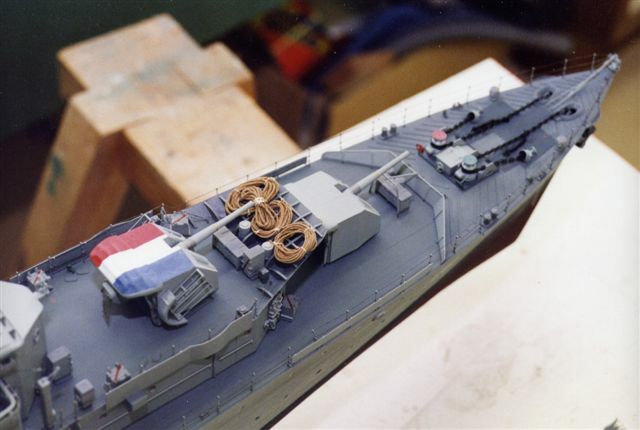 John built this model a few years ago for the Amsterdam Maritime Museum . 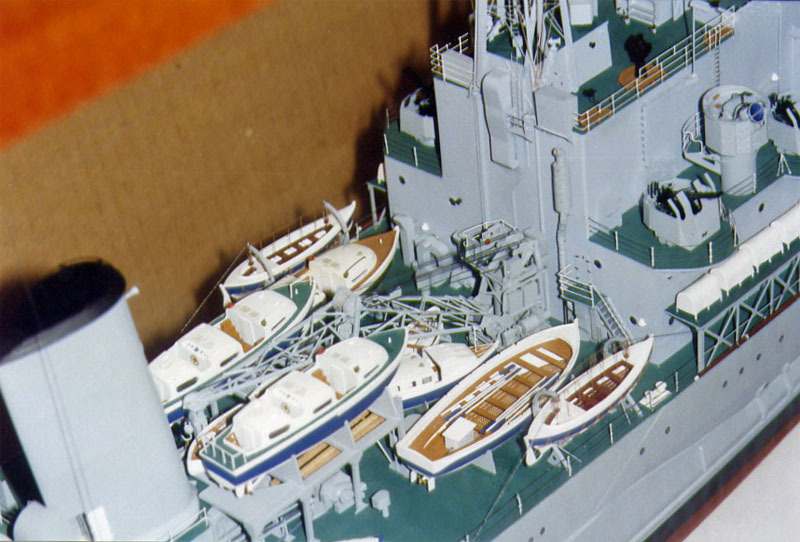 It was for a trustee that was on this ship in the Korean War , after the ship was passed by the RN the the Neatherlands Navy. 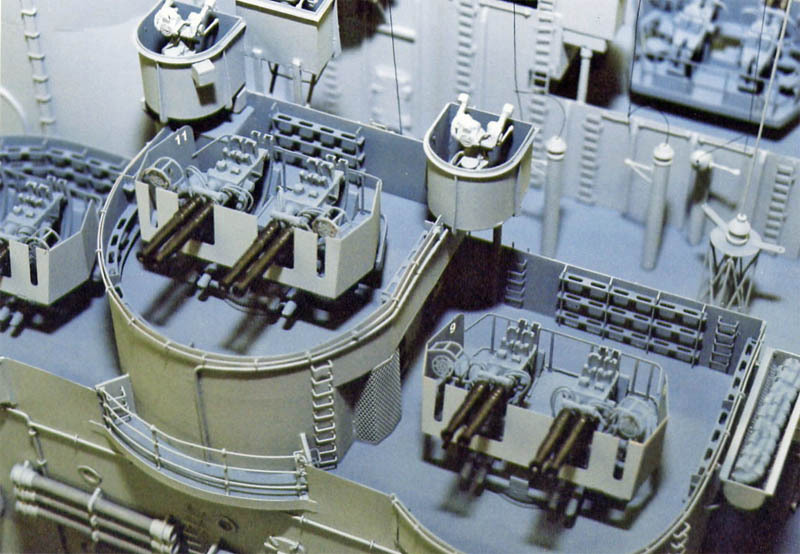 21 visits to this page.